Jordan Peele is pooling together a high-class cast for his newest series The Hunt. Sources with knowledge of the production, an Amazon Video-exclusive series that centers around "a diverse band of Nazi Hunters living in 1977 New York City," relayed to Collider that the modern horror maestro has tapped Grey's Anatomy actress Jerrika Hinton, Emmy-nominated The Good Wife actor Dylan Baker, The Unbearable Lightness of Being star Lena Olin, Greg Austin of Class fame, English comedian and actress Catherine Tate, The Following and Beautiful Creatures actress Tiffany Boone, prolific character actor Saul Rubinek, and iconic film star Carol Kane for the show. These eight ensemble actors (who are said to be in "various stages" of negotiations) join Logan Lerman, who leads The Hunt as Jonah Heidelbaum. Jonah enlists in the organization of justice-seekers known as The Hunt after a "mysterious intruder" breaks into his apartment and murders his grandmother. Bent on finding the person responsible for his grandmother's slaying, Jonah fits right in with his new crew — a band of eccentric "Hunters" and who have "discovered that hundreds of high ranking Nazi officials are living among us and conspiring to create a Fourth Reich in the U.S." and have dedicated their lives to seeking them out. Together, they embark on a "blood quest" to locate the Nazi murderers and "thwart their new genocidal plans." They will also share the screen with Al Pacino as the Nazi hunter who serves as Jonah's main mentor. Specifics regarding Pacino's character, such as his name and personality traits, are being kept under wraps for now. However, Collider has some juicy details about the ensemble cast. Hinton is set for the role of Millie Malone, the female lead of The Hunt who is being described as an "in-your-face FBI agent who's marginalized in the Bureau because of her race and gender." Baker's character, Biff Simpson, is a "Waspy politician and family man" who has more than a few skeletons hiding in his closet, while Austin's character, Travis Leich, is full-on villainous — he's a guy who's "eager to serve the murderous Nazi cause." Olin, too, is expected to portray a Nazi on The Hunt, though her character's name hasn't yet been revealed. Tate is on the side of the good guys, eyed to portray a nun. Fans of Rubinek and Kane will gasp with glee when learning that the pair will play a married couple: Hasidic Jewish husband and wife Murray and Mindy Markowitz. 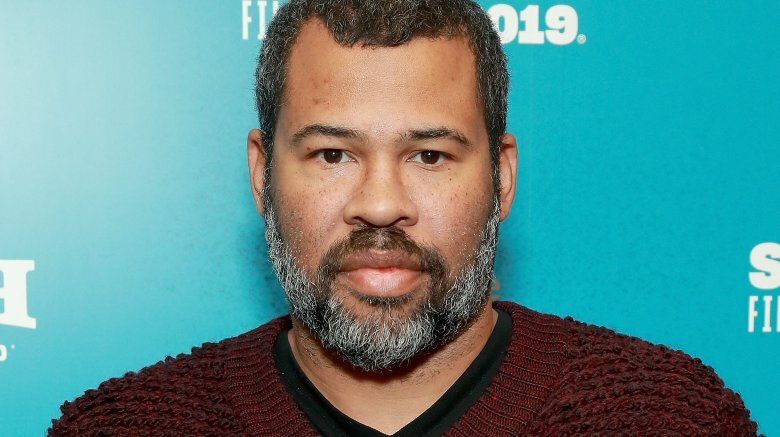 The director of the horror phenomenon Get Out, Peele is perhaps one of the most innovative creatives in the biz at the minute. He redefined the genre with his feature directorial debut, and has big plans for more projects that tap into "different social demons, these innately human monsters that are woven into the fabric of how we think and how we interact." While he isn't the main mind behind The Hunt (Weil is), Peele will undoubtedly bring his own fine-tuned touch to the series that highlights the ugliest and most horrifying parts of human history and of society — aspects that still linger in our modern era. We're excited to see the finished product. With Lerman and Pacino leading, The Hunt already carries serious star power. With the additions of Hinton, Baker, Olin, Austin, Tate, Boone, Rubinek, and Kane, the series has just shot to the top of our list of most anticipated upcoming television offerings. The Hunt is scheduled to premiere on Amazon Video sometime this year.